How to Help Your Best Friend in Need? Watching your adorable furry friend have a seizure can be a pretty frightening experience. If your pooch is having a seizure, you might feel very helpless and also concerned about his health. But if you learn a thing or two about dog seizures, it can make this encounter a little less frightening. Ideally, a seizure is an abrupt episode of abnormal functioning of the brain, and it causes one to lose body control. Seizures can happen in the form of either extended full-body convulsions or tiny localized spasms. When a dog is experiencing a seizure, he will often fall over, become very stiff and shake violently. Take some time to learn what causes dog seizures and how they can be managed. At times, your dog experiences a seizure because of an activity he engaged in his surroundings. For instance, it might be as a result of ingesting poisonous substances. The best way to prevent such seizures is to monitor him closely. Advisably, you should never let your pooch wander too far off or take walks with stray dogs. Apart from ingesting harmful products, dog seizures could be caused by head injuries. Similarly, the best way to ensure that he doesn’t get involved in any injurious activities is to keep an eye on him. Other times, dog seizures are an indication of severe conditions, which your pooch could be suffering from. Most seizures are brought about by health problems like kidney disease, strokes, anemia, brain cancer and fluctuations in blood pressure. As stated earlier, your dog could be experiencing seizures simply because he descends from particular family lines. In fact, some dog breeds are vulnerable to epileptic seizures more than others. These include the Belgian Tervuren, golden retriever, Vizsla, Labrador retriever, Shetland sheepdog, and beagles. Other examples of dog breeds susceptible to seizures are the Finish Spitz, English springer, and the Bernese mountain dog. Hereditary epilepsy often affects dogs between the ages of 10 months and 3 years. But sometimes, it shows up in pups that are as young as six months. A majority of dogs first experience a warning phase, referred to as an aura, right before the seizure happens. During this time, you’ll notice that your dog becomes anxious, scared, and stressed out. Some dogs will want to cling to their owners for as long as they can. These dogs might also seem dazed and puzzled. You might catch them staring at one point for a long time. Other signs include muscle contractions and visual disturbances. 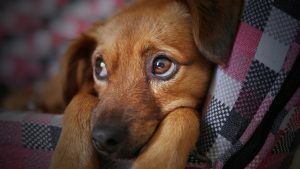 If this is not the first time that your dog is experiencing a seizure, then you already have a clue on what to expect. We recommend that you move your dog to a safe and soft area. Remove any sharp objects and obstacles that could hurt him in the process. Also, ensure that you don’t take him next to a flight of stairs or a pool to prevent accidental incidents such as drowning and falls. Just as in the case of epileptic patients, a dog can start foaming at the mouth. Other things you’ll notice is his drooling, twitching and possibly collapsing. Dogs that experience seizures also make paddling movements with their legs. And since they don’t have control of their bodies, they may urinate. Based on pet owner reports, many dogs that have had seizures start going round in circles once the seizures stop. They may also drool, seem disoriented and walk in a wobbly manner. In the worst scenarios, some dogs become blind although this only happens temporarily. Plus, different dogs take different amounts of time to recoup from seizures. Some recover almost immediately while others take up to 24 hours. Is a seizure an emergency? The good thing is that dog seizures are not regarded as life-threatening. However, they are an indication that something is amiss, especially with your dog’s brain. If your dog experiences a seizure, you should take him to a veterinarian for a checkup. Usually, dog seizures last for about five minutes. But if they extend longer than this, then they’re considered an emergency. Once your dog is examined by a vet, you’ll be able to determine whether he has brain damage, hyperthermia or whether he just accidentally hit his head against a hard surface. Also, if your pooch experiences more than 3 seizures within a 24-hour timeframe, this is a matter requiring immediate medical attention. And if your dog has been exposed to chemicals, you should inform your vet. If the vet points out any abnormalities in the functioning of your dog’s brain, there are a couple of treatment options you can consider. But this will depend on the particular diagnosis given. Sometimes seizures occur because of brain malformations, inflammation, tumors, or infections. You should never alter your dog’s seizure medications without consulting a vet first. It’s crucial that you adhere to the recommendations given by your vet so the treatment can be successful. Seizures are common in the canine world. They could be caused by a number of things ranging from genetics to other diseases, head injuries and ingestion of poisonous products. 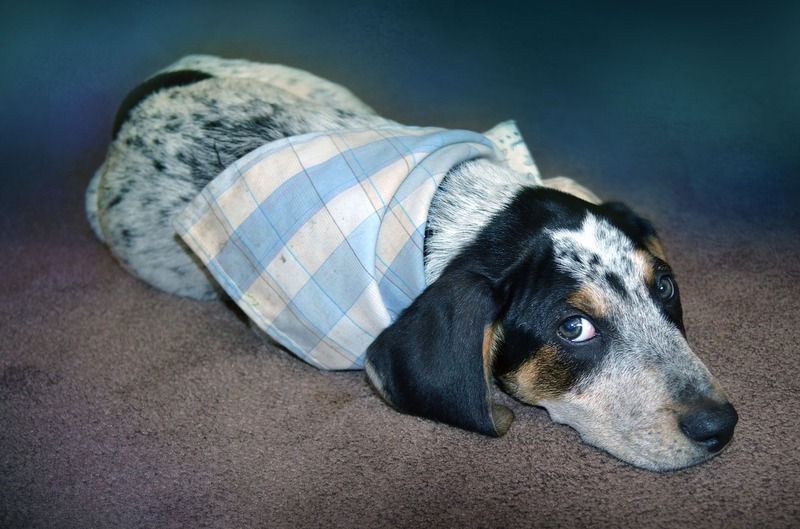 You should keep a close eye on your pooch so you can help him if he’s about to have a seizure. Block the stairways and remove any obstacles that could end up harming him. Once the seizure stops, take him to a vet for examination and treatment. 1 How to Help Your Best Friend in Need? 4 Is a seizure an emergency?